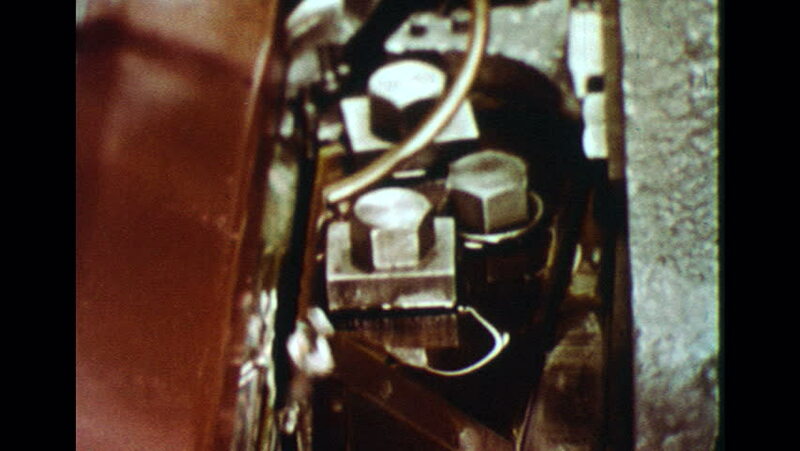 UNITED STATES 1960s: Fasteners threaded in machine. Close up of washer, hand picks up washer. hd00:121960s: Man speaks to man wearing helmet. hd00:07Moving parts of the machinery of the industrial plant in the plant. Industrial production. Machines and equipment. 4k00:42Close-Up shot of a man charging a record cylinder in a Vintage Phonograph, retro style concept.